This Goat milk formula has worked really well for our baby. He immediately took to it and it's been a great supplement to mother's milk he gets daily. I love that I can get this formula in the states! However, I am sad to see that you are sold out online. Hoping you are able to restock! My baby enjoys this formula a lot. Like many others who look for goat milk based formula, my little guy has a cow's milk allergy, and I prefer this to the corn syrup solid based ones that you find at the typical grocery store. We have have had the privilege to try a couple different european goat formulas, and in my opinion, this one has the creamiest taste (not goat-y) and a very light texture while in its powdered form. I developed some problems with milk production, and Benedict had no problem taking this formula after being accustomed to breastmilk for many months. 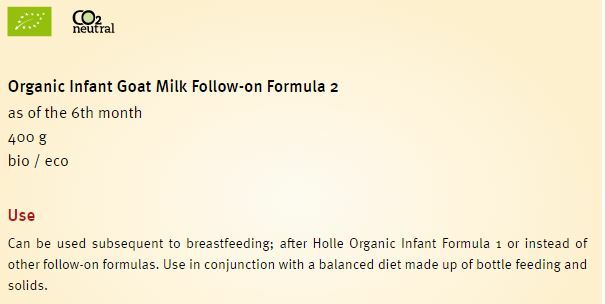 This formula has been amazing for my little one! Great nutrition and is gentle on his sensitive tummy!